The principle use it or lose it is a valuable one when it comes to health. It applies to all our muscles because we are just organic machines after all. Turns out that when we are bored, our minds are not stimulated and bad food cravings arise. So we need to exercise our brains, too. That is the conclusion of research being presented this week at the Annual Conference of the British Psychological Society by Dr. Sandi Mann from the University of Central Lancashire (UCLan). Dr. Mann and her fellow authors, Faye Ibbitson and Ben Edwards, also from UCLan, conducted two studies of boredom and food choices. In the first study the researchers asked 52 participants to complete a questionnaire on their food preferences before and after completing the boredom-inducing task of repeatedly copying the same group of letters. In the second study they asked 45 participants to watch either a boring or a funny video, during which a range of healthy and unhealthy snacks were available. The bowls were weighed before and after each trial to how much of each snack had been eaten. The results from the first study showed people were more likely to express a preference for unhealthy foods like potato chips, sweets and fast food after completing the boring task. The results from the second study showed that the participants who had watched the boring video ate significantly more unhealthy food. Dr Mann said: “These results are in line with previous research suggesting that we crave fatty and sugary foods when we are bored. This strengthens the theory that boredom is related to low levels of the stimulating brain chemical dopamine and that people try to boost this by eating fat and sugar if they cannot alleviate their boredom in some other way. In this instance, the expression nuts to you is a good thing. Please check out my Page – Snacking – The Good, The Bad and The Ugly for more. Dopamine has been called our “motivation molecule.” It boosts our drive, focus, and concentration. It enables us to plan ahead and resist impulses so we can achieve our goals. It gives us that “I did it!” lift when we accomplish what we set out to do. It makes us competitive and provides the thrill of the chase in all aspects of life — business, sports, and love. 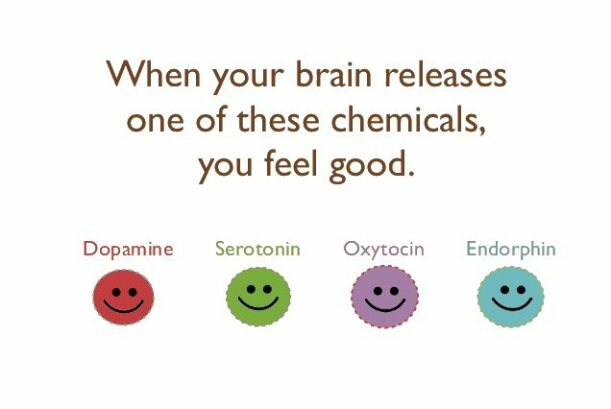 I am fascinated by these neurotransmitters and how they benefit our lives. When you finish reading this, check out my post on What is the Value of Hugging? 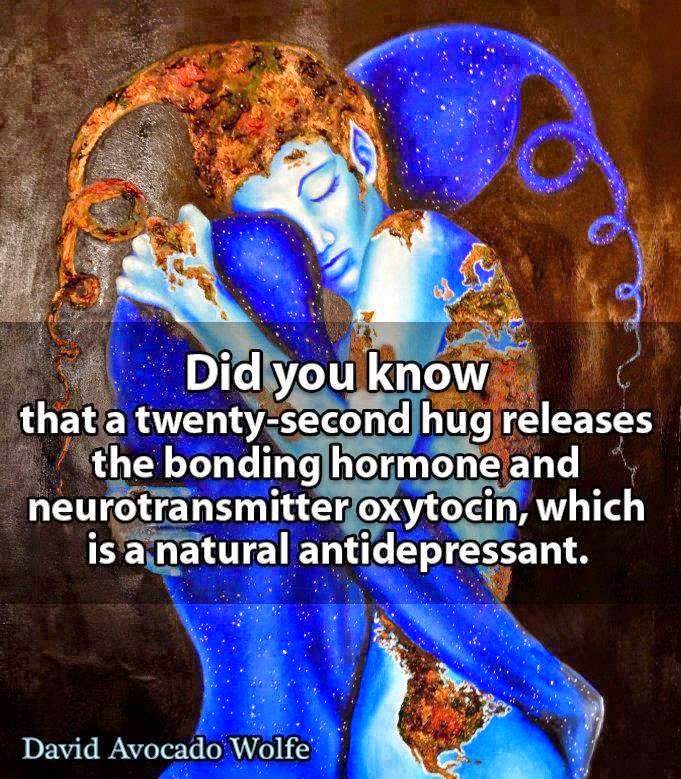 to learn more about oxytocin.